Instant Pot Swiss Steak | This one pot wonder is not only my families number one favorite dish but it’s easy and perfect for a hearty meal. 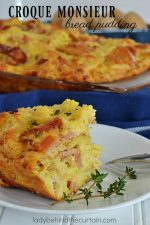 Serve it along side mashed potatoes, baked potatoes, rice or pasta! 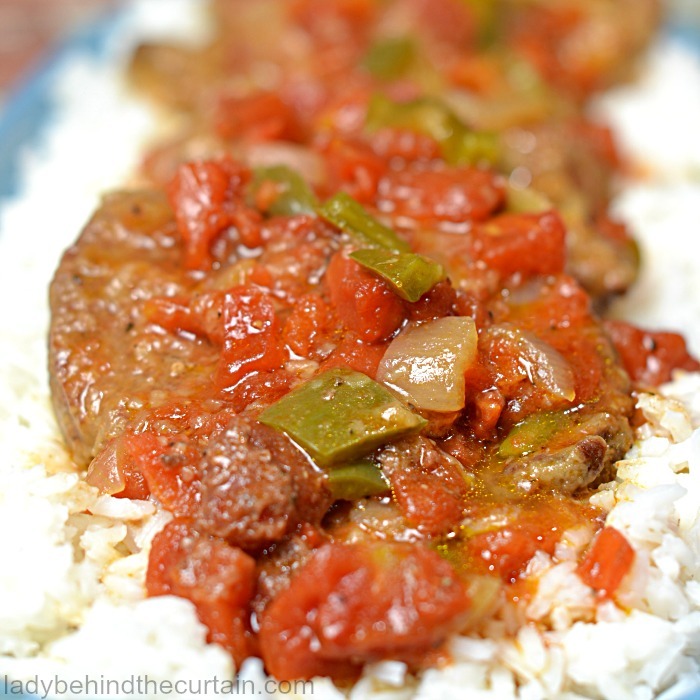 All options accompany this Instant Pot Swiss Steak beautifully. 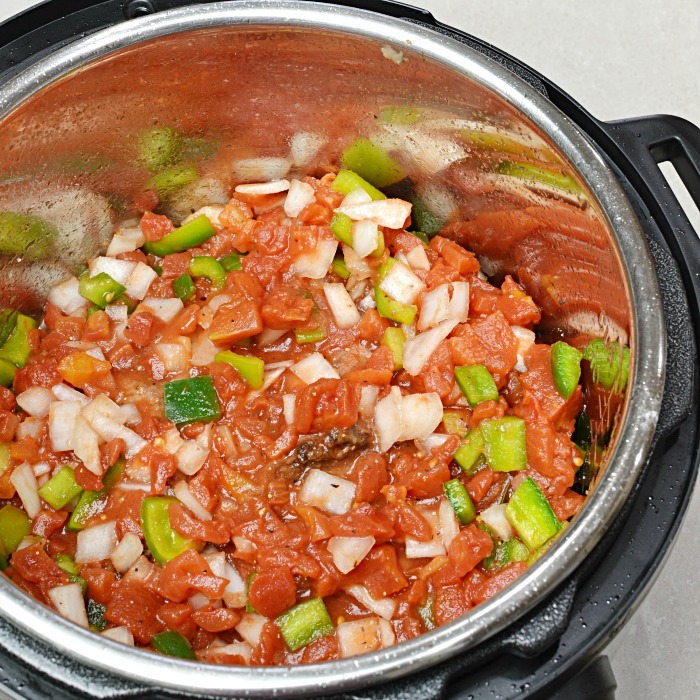 If you’ve never cooked in a pressure cooker then you are in for the best surprise EVER! 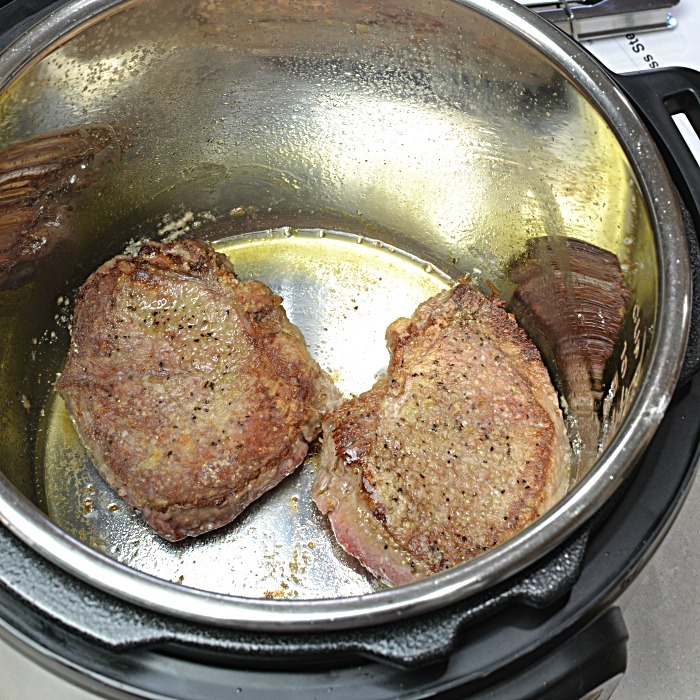 The instant pot not only cooks dishes fast but also tenderizes to perfection! Instead of cooking in a slow cooker for 6 to 8 hours this steak will be done and tenderized in 30 minutes! I love using Tri Tip for this recipe, only because I like the flavor and it’s a tender piece of meat. The Instant Pot works so well at tenderizing the meat that any cut would be fine. brown meat on all sides (only brown the meat, don’t cook until done). Cover the meat in sauce. Set Instant Pot to Meat/Stew. JUICY AND TENDER TO PERFECTION! Season cut meat on both sides with salt and pepper; sprinkle flour on both sides and pat in. Turn pot to sauté; wait until the pot registers hot. Add oil and two pieces of meat (if you crowd the meat it will not brown); brown on both sides, remove from pot and place on a plate. Continue with the remaining pieces of meat. Once all the meat has be browned; return to the pot and pour sauce over the meat. Reset pot to Meat/Stew or high pressure; set timer for 30 minutes with the pressure valve closed. Once timer goes off let the pressure release naturally for 10 minutes; twist valve for quick release to remove the remaining pressure. When all the pressure is released; transport meat to platter with sauce. Mix together the bell pepper, onion, tomatoes, salt and pepper in a medium bowl. Where can I find an Instapot to buy . I have not seen any like that with directions on it for what mode you are cooking in. .
Hi Elaine, I found mine on amazon. We got ours at Kohl’s. Should also be available from them online. I just got mine today for my birthday. . Walmart has them. WooHoo Judy! Have fun creating! This was really good and so very simple to put together. I did cheat a bit bc my family does not like the chunks of tomatoes so I added some spaghetti sauce I had on hand. That took care of the seasoning for me as well. Thanks for the recipe! You’re Welcome Sandy! It’s one of my families favorites and I love how easy it is! Also for making a recipe that uses the actual buttons! 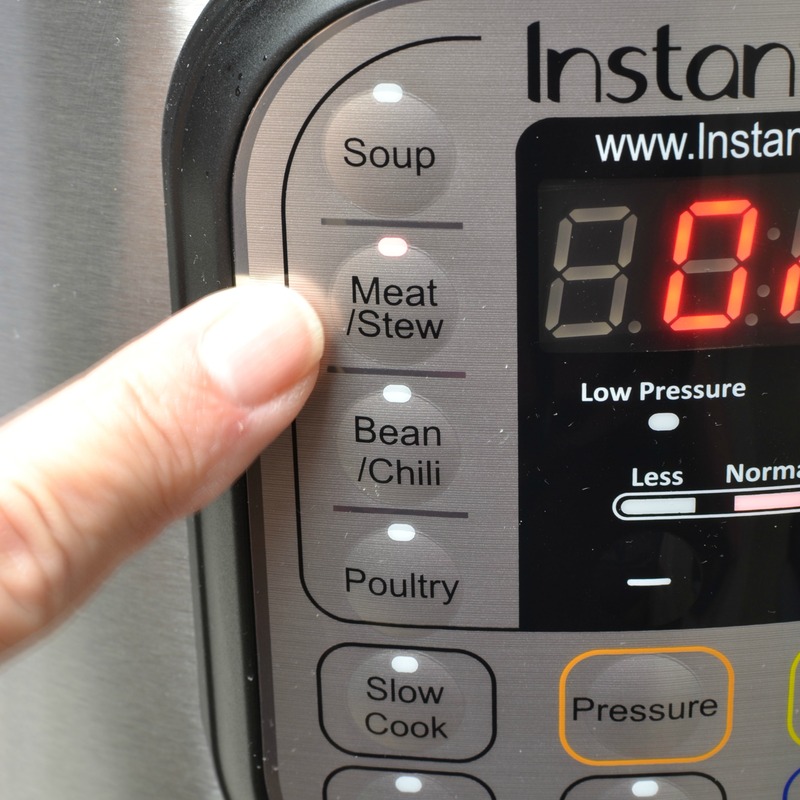 Everything I’ve read you need at least 1 cup of water for instant pot to use pressure. Did you add water? Hi Marilyn, No there’s no need for water in this recipe. There’s plenty of liquid from the sauce. Making right now. After browning steaks in oil, I used a bit of chicken broth to deglaze the pan. Did you find you needed to do this or pot wouldn’t pressurize? Thanks for recipe! Mom used to make in the electric skillet. Was Dad’s favorite. God rest their souls. 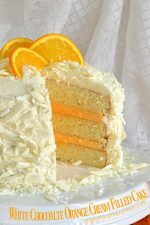 I am getting ready to make this for Father’s Day as it is my husband’s favorite. I thought I’d try your recipe; I generally use my mother’s which uses cilli sauce in the sauce. However, we will have 8 adults and a few kids so I am doubling the recipe, using about 4 lbs. of sirloin steak. Will this work in the Instant Pot, or should I go ahead and use the electric frying pan as I have traditionally done. Thanks for help and for the recipe. IMy three daughters and I have loved using the Instant Pot! I used to make it that way too for 20 years! I am trying this for the first time tonight. Hope it is just as good. I make it all the time in my stainless steel Presto pressure cooker. I also have an electric pressure cooker, but the Presto is fine for me and my hubby for just us. I do everything in the recipe here, but I mix a small can of El Pato in with the tomatoes as it gives it a wonderful spicy flavor. I make stuffed bell peppers the same way. Hi Kathy, I love the idea of adding the spicy tomatoes! That’s awesome Tom! 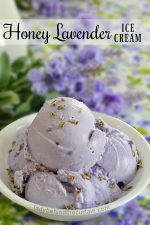 I love my instant pot and this is one of my families favorite recipes. So happy to have found this receipt….like I make but now learning to use instapot. 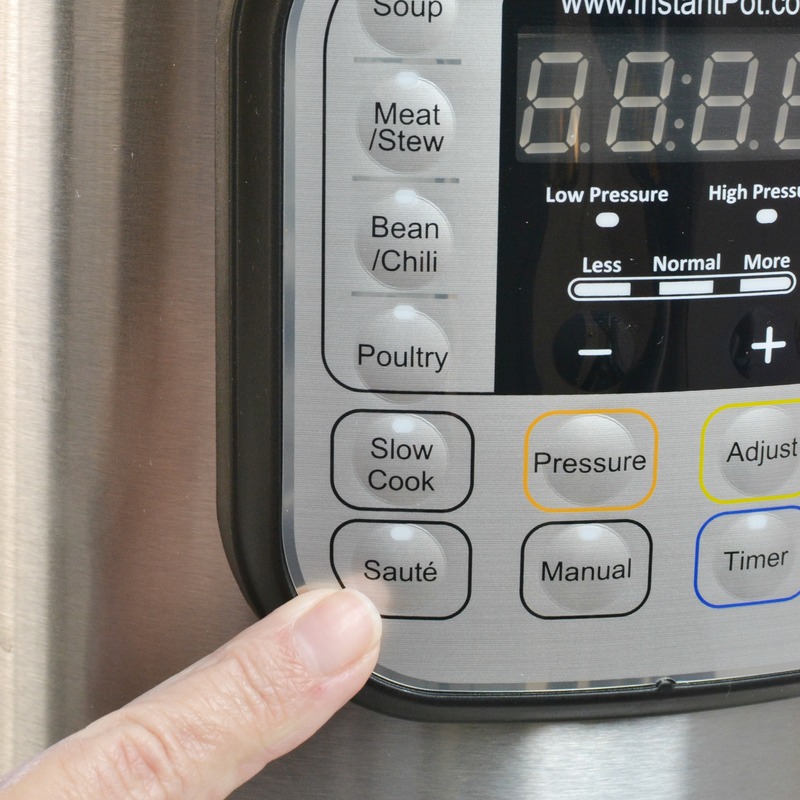 Hi Loretta, You’re going to LOVE your instapot and this recipe! Could I cook the rice with this in the Instant Pot? Not together Jenny, rice only takes about 12 minutes. 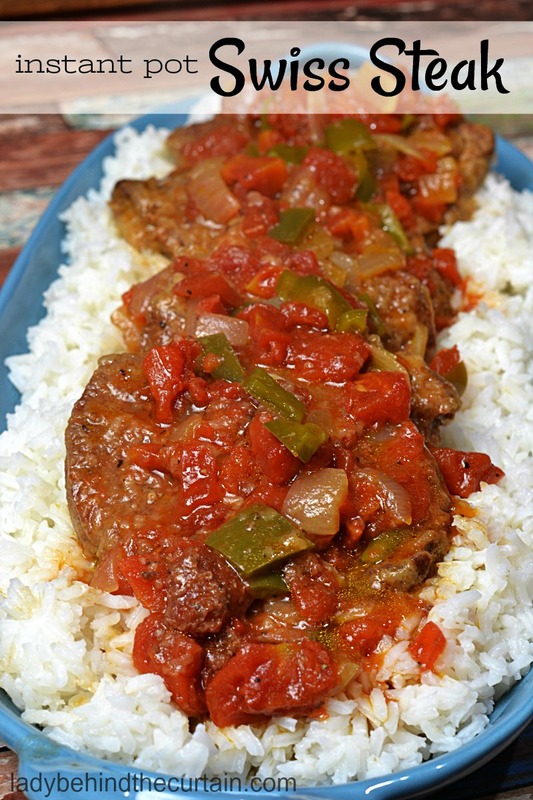 This recipe is delicious, reminds me of my mother’s swiss steak. Ultimate comfort food! I’m new to instant pot cooking and with this recipe, I’m a convert. I used petite sirloin steaks cut in half and added 1 Tablespoon of worchestershire sauce. Couldn’t be any easier, I’ll be making this again and soon. Hi Kim, I love the addition of Worcestershire sauce! Do you drain canned tomatoes? Hi Pamela, No you need the juice. YUM! 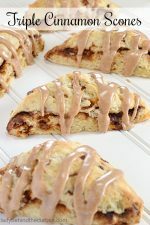 I love this recipe Beth! I hope you do too! This was very good and very easy. I used round bottom because it was cheap but it was still tasty. Sirloin or London Broil would probably be even better. I’m so glad you love the recipe as much as I do Karen! Thanks for posting and have a wonderful weekend! Could I add cabbage, carrots and potatoes to cook with it? Hi Karen, You might have to adjust the time a little bit. I’m sorry but more or less and how much…..I have no experience with cooking veggies. I used a little bit of beef broth to deglaze after browning meat and I added a can of rotel to add a little bit of a kick to the sauce..it turned out great! Good recipe! Awesome Maureen! Great ideas too! Made this recipe for dinner tonight. I used cube steaks instead of round steak and it came out fantastic. This is only the 3rd meal that I have made in my Instant Pot. I am loving it. Thank you for the recipe Maureen. Hi Doug! I’m so glad you like the recipe! Hi, will the steaks be tender or should I cut them in strips and sauté? Looks amazing! Plan on fixing it tonight! Yes Kayla they will be very tender. I brown them in the Instant Pot before adding the vegetables and tomatoes. Terrific recipe! 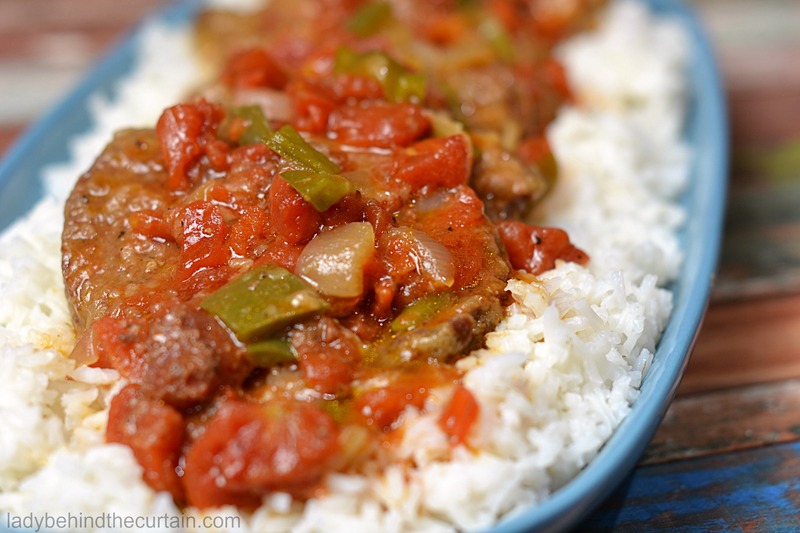 My hubby grew up eating swiss steak and he LOVED it! He’s finicky about eating meat with fat or gristle so I bought a sirloin roast, trimmed the tiny bit of fat there was and sliced it into small steaks. I sliced (not chopped) the onions and peppers, lightly sauted them before adding the steak and the canned tomatoes on top. The the results were perfect, fork tender and full of flavor. Thanks for the recipe! It’s the very first meal I made in my new instant pot but it sure won’t be the last. That’s wonderful Debbie! 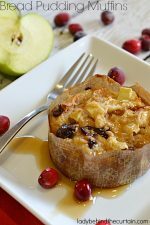 This is one of my favorite recipes to do in the instant pot! I tried this last night and kept getting a ‘burn’ code on my pot. I checked and, sure enough, there was a burnt layer. Cleaned it and tried again…three times! Gave up and ordered a pizza. I’m going to try it again today. I’m sure it is operator error on my part. Have had my IP less than a week and this is only the second recipe I’ve tried. If you have any suggestions, they would definitely be welcome. Hi Pam, The only suggestion I have is to make sure you have liquid under the meat. I hope it works for you. This is a delicious recipe. Pam, I had the same problem when I started out. It seems to happen more often if you don’t scrape all those little bits of meat on the bottom after you saute. For whatever reason it registers them as burnt. Even with enough liquid. Thanks Billie for your help. I’ve never had that problem with this recipe. Oh YES Judy I agree this is the ultimate comfort food! Really simple, great meal. We loved it. I used cube steaks because that was what I had on hand. I did deglaze the pot with beef stock cause there was some crispy bits…but that was probably because of the cut of meat I used. Anyway, turned out awesome. It has been added to my dinner rotation. Thanks Jason for your great feedback. I’m glad you enjoyed the recipe. THis is amazing! Tastes just like my mom’s. My only addition was worchestershire. Thanks for sharing. I have had my instant pot since Christmas and had given up on cooking meat in it. This has changed my mind. It’s SO GOOD! Yay Antonia! I’m so glad you like the recipe as much as I do! Forgot all about Swiss steak. 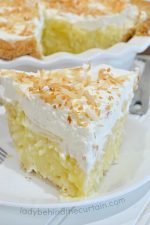 My mom used to cook it in her old timey pressure cooker which scared her to death – lol – but we loved her recipe so much she bravely cooked this favorite. It’s been probably 40 years since I had it and your recipe is spot on! My family loves it. Thank you so much! Mine is currently in the pot. My house smells wonderful. I added a stalk of celery but otherwise went by the recipe. Can’t wait to taste it! Thanks for the share. Made this tonight for my daughter and her crew using a pressure cooker ( just like mom used to do) and they loved it! Can you use round steak instead of sirloin? It’ll be fine Sharon. The browning seals in the juices and adds another layer of flavor to the meat. This is a classic dish from my childhood that my mom used to make. I used to cook it in my electric frying pan, which took forever, but tried it in the instant pot and it came out perfect! I used round steak, as that is the traditional meat used, hence the “Swiss” in the name. Swissing is the process of taking a tough cut of meat, and pounding it with a meat mallet to tenderize it. (I’m sure you already knew that though, Sheryl) I sprinkle flour, salt and pepper over the round steak after I’ve trimmed it, and cut it into pieces, then pound both sides with the mallet. The rest is just as your recipe says – brown it and add the sauce. I cooked it on high for 35 minutes in the instant pot, and it was fork tender and delicious! I serve it over No Yolks dumpling egg noodles, it’s a family favorite. Thank you for sharing your recipe 🙂 I was so happy to find it for my instant pot! Hi Jill, Thanks for sharing your story. I’m glad you liked the recipe! Thank you for the recipe. I bought an Instant Pot Duo 6 on Amazon Prime Day. I went out and bought chuck steaks, chuck roasts, and chicken parts. Then I went in search of Instant Pot recipes. I liked this one best for its simplicity and and the plausibility of the directions, for example, brown the meat first. I cut up two pounds of chuck steaks in portion size pieces. I only had one can of stewed tomatoes so I made up the difference with water. I deglazed the sauté pan with white wine. The result was very good, as good as French home-style cooking. We decided that one can of tomatoes was just right for two pounds of meat. The dish provided the two of us two dinners and a lunch. The second night I boiled up some carrots and cubed baking potatoes and added them to the stewpot, simmered the contents for 15 minutes or so, and had beef stew. We were so pleased with the result that I made it again the following week, this time as a stew with cubed chuck roast and vegetables, which I cook on the stove to keep them firm. Thank you again. Now I am in search of something as good for boneless chicken parts. Hi Grace, I’m thrilled that you like the recipe. It’s one of my families favorites! I bought an instant pot about a year ago because my husband was having trouble chewing beef even though I bought the best, no matter how I cooked it. The instant pot has really helped however I still have to slice the meat pretty small for cooking and I’m still learning the trick of getting the meat tender enough for him while not overcooking the vegetables. It seems I have to saute them separately, cook the meat for a while (after sauteing) and then about 1/2 way or more through cooking the meat, then add the sauteed vegetables. Do you know a better way? It’s somewhat of a bother having to release the steam and them start again, but it’s worth it if he can eat it. We liked this recipe but I did make some changes. First I used tomato sauce instead of the canned tomatoes as we don’t care for them I have to use much less pepper as my husband can’t take the hotness. I also (this is for me), about 1/2 way through the cooking of the meat and sauce, I added some of those little (mini) potatoes. I peeled them and sliced them in half to make sure they cooked through…they were perfect and so good! This was the first time for me to put them in swiss steak but I will definitely do it again. My husband eats his with rice but doesn’t mind a few potatoes in the mix. Hi Mary, Yes, using an instant pot is the way to go if you need to cook meat until it’s tender. It does sound like a pain to add something during the mid way of cooking. My only solution is to cook the vegetables separately in the oven and then add them to your meat after it has finished cooking in the instant pot. Could I use cubed steaks and add sliced mushrooms instead of peppers(I don’t like them). Should I cut the time to back and use quick release of pressure. I’m new to Instant Pot but love it for eggs and dried beans. Hi Faith, Cubed steak is typically a tough cut. I would leave the time the same (at least for your first try). I never use that cut of meat so this is just a guess on my part. Adding mushrooms will work, but keep in mind by omitting the bell pepper, it will completely change the flavor of your dish. Hi Toni, Yes…you can find Instant Pots just about anywhere. I’ve also seen them at Target. I think the best prices are on Amazon. I do not have the actual instant pot brand I have the power xl. I made this and if came out wonderful . I did can this after eating one piece so I can now have it whenever the family feels in the mood. Also I purchased Eye of Round steaks so I did not have to worry about the cutting them. Great short cut. Thank you for this wonderful recipe. I was in the mood to make this recipe but didn’t want to go to the store to get some steak since I already had some pork chops thawed out. I thought, why not! So I made the recipe using pork chops and it was awesome. Family liked it just as much as when I use steak. Swiss chops will now be on my menu list!!! Would this work with London Broil? Hi Shannon, London Broil is a very tough piece of meat. I’m not sure if this recipe is right for it. Thank you. I was honestly just being lazy and trying to avoid a trip to the market, but I want it to tase good, so off to the store I go! I’m trying this this evening using venison steak (my husband is a hunter). First time to use my Instant Pot……wish me luck. I made this tonight with cubed steak and it turned out great! It was my first time to use my new Instant Pot. My husband and son loved it. I will be making it again very soon. Thank you for a wonderful recipe. Ok, my mom made this the whole time that I was growing up with a round steak that she had the butcher run through the tenderizer. It made it like a cubed steak but thicker. It took about 4 hours and I hadn’t had it in years! I went for a quick visit and my dad made it for her birthday in an electric skillet. It was so amazing and I vowed to do it when I got back home for my family. I had the butcher help me pick out some lean round steaks that were thicker and run them through the tenderizer last night. My mom uses a minimum of 16 ounces of whole peeled tomatoes that she breaks apart with a wooden spoon and she adds some ribs of celery cut into about fourths. No bell peppers, which is good because they make me sick. I knew about how I wanted to make in the instant pot, but was going to guess on the timing. I’m pretty adventurous with my IP (I have a duo plus 6 and a duo 8) so I have jumped in with both feet for the past year with pressure cooking. I am still deciding if I want to serve this with rice, boiled and buttered potatoes (like my mom) or with egg noodles. I’m excited to see how they like this dish and to tell my two older kids about it as I have purchased an IP for each. Thank you for keeping an old traditional dish alive for families that may have forgotten it. The IP has made so many old classics available for busy families again! Hi Yvette, I love my instant pot!